Proms Lead Up – Wind Band! Not that long left until Proms (15 days in fact!) so these band focus posts are going to be a bit closer together than they have been so far – I hope you can keep up with all the blog posts at the minute! A popular ensemble, the ULMS Wind Band consists of Woodwind, Brass and Percussion players (who technically aren’t Wind players, but we’ll let them off this once! ), and plays a range of pieces from pieces from musical and movie soundtracks, to pieces written specifically for Wind Bands. A view from the front of the band, the sort of thing you might see if you come to Proms! Usually the largest of ULMS’s ensembles, Wind Band can be heard around the Great Hall area on Tuesday nights reproducing some well-known favourites as well as the occasional piece that is less recognisable! For Proms this year Wind Band is playing a medley of songs from the 2007 film Stardust, as well as Dundonnell, which is the finale from Hymn of the Highlands. Percussion making itself heard in the background! 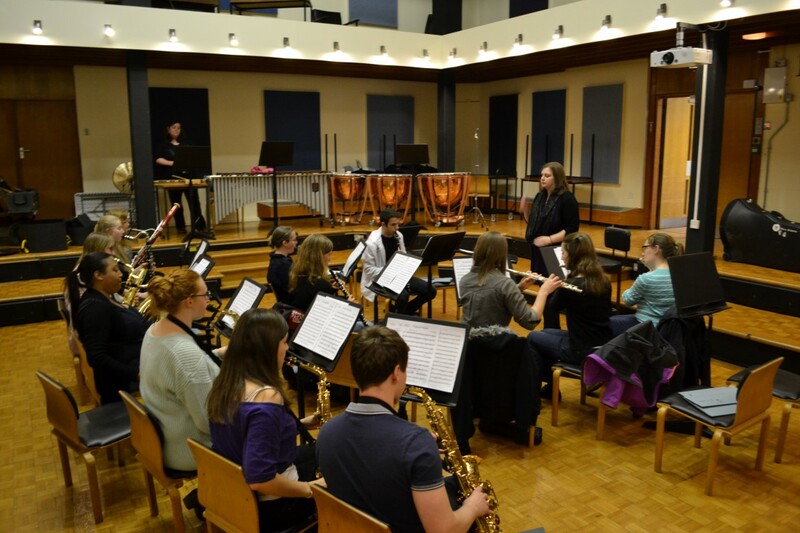 ← Proms Lead Up – ULMS Brass Band!